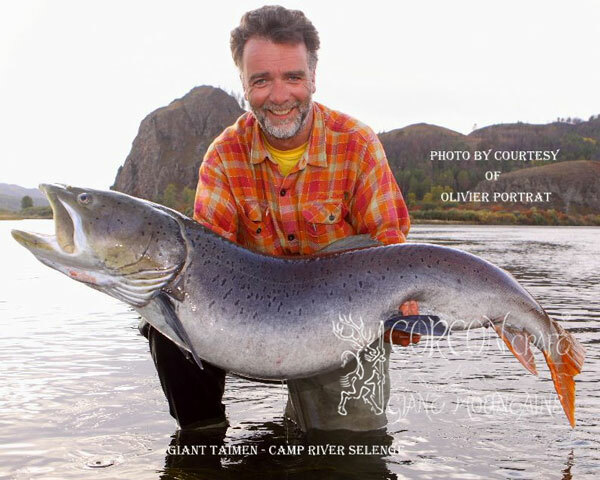 This cracking Giant Taimen of 155 cm - 62"inches was caught on Fly during the 4 week Fishing Expedition of a small party of professional sportsmen from Germany, lead by the well-known author and photographer Olivier Portrat of Saarbruecken. 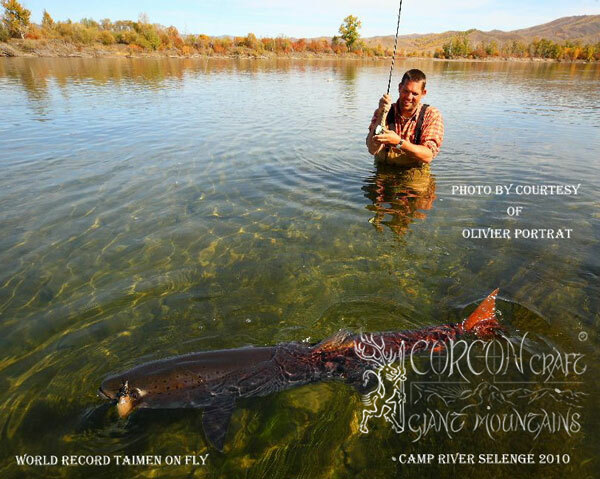 Olivier returns to Mongolia with us every year and is considered to be one of the most experienced Taimen anglers, among many fine sportsmen from the Czech Republic, holding numerous record-class Taimen entries over a history of 20 years fishing in Mongolia. 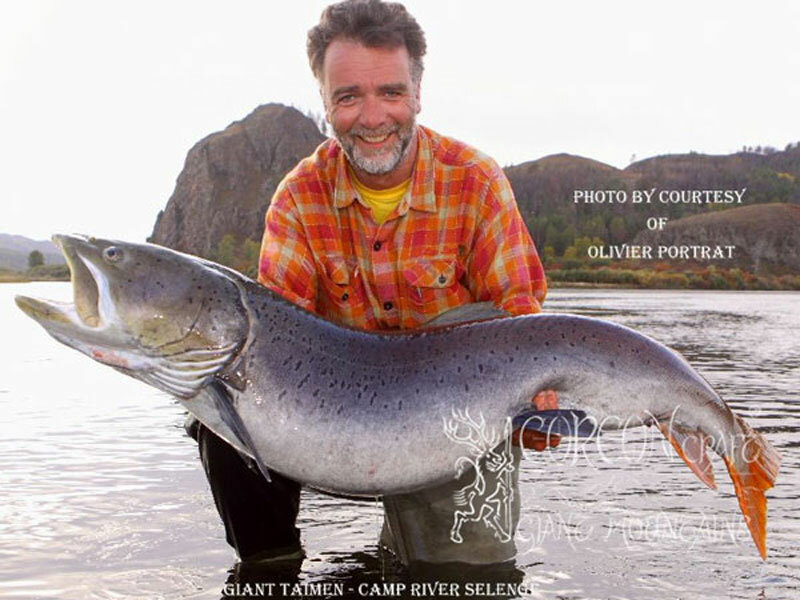 We are proud to have assisted with the organization and outfitting of another memorable tour, using our traditional base camps at various exclusive Taimen Rivers in the Northern Province. 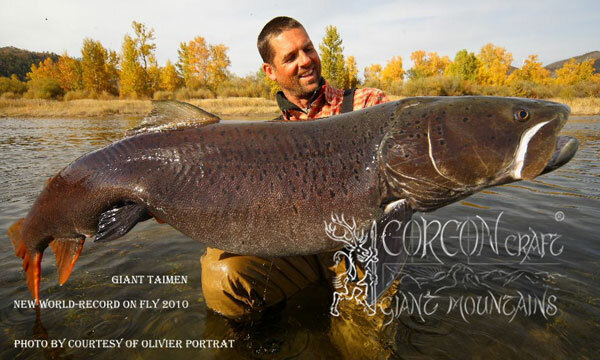 Taimen 146 cm - 58 inches River Shishkid 2008 Jakub Vagner, Czech Rep.
Taimen 152 cm - 61 inches River Ur 2007 Jaroslav Oprchal, Czech Rep.